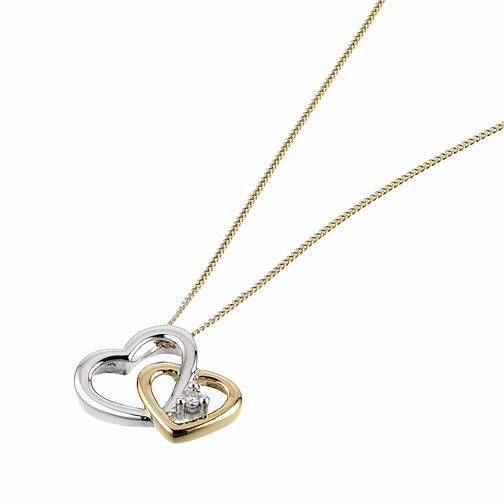 Give a lot of love with this stunning twin heart pendant. Featuring 9ct yellow gold and diamonds, this is a stylish pendant, perfect as a gift for a loved one on any occasion. 9ct Yellow Gold Diamond Twin Heart Pendant is rated 4.3 out of 5 by 12. Rated 5 out of 5 by Anonymous from Beautiful double heart necklace Beautiful twin heart necklace with diamond setting. Bought it for my wife at Christmas and she loves it. Looks very nice.